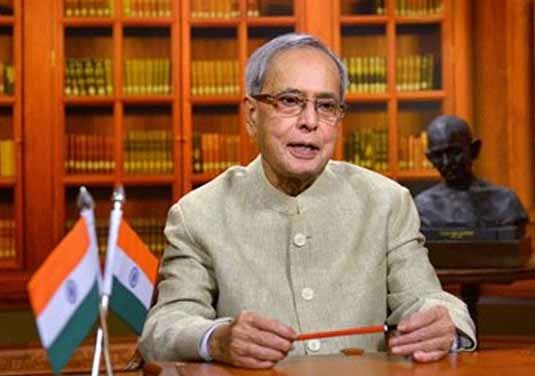 New Delhi : The President Pranab Mukherjee has greeted fellow citizens on the eve of Christmas. In a message, the President said, “On the auspicious occasion of Christmas, I convey warm greetings and good wishes to all fellow countrymen. I wish everyone a merry Christmas and prosperous New Year. May this Christmas be an occasion for hope and happiness as well as an opportunity to celebrate the spirit of sharing and brotherhood. As the world lights candles for Christmas this year, may the light of love, kindness and compassion glow in every heart and may peace and goodwill prevail in our midst”.